It's always nice to try something a bit different when visiting a city and I am always looking for new and alternative ways to learn the history of somewhere I am visiting. After reading about the devastating fire at the Glasgow School of Art last year - I wanted to find out more about Mackintosh, the fire and the architecture of Glasgow and decided to book us on an hour-long Mackintosh tour which has won industry awards and promised to give us an insight into Glasgow's history that we wouldn't find elsewhere. 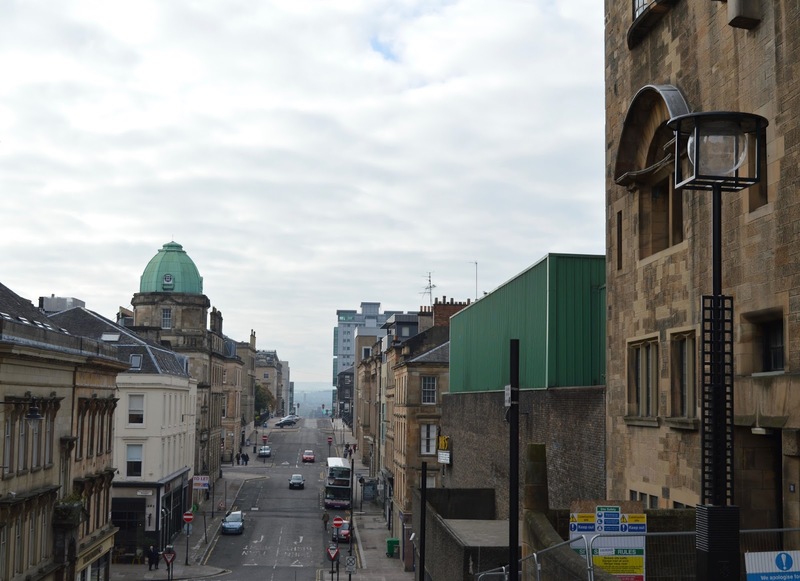 Glasgow School of Art is located at the top of a short but steep bank. It is worth the climb though and you will be rewarded with glorious views of the city. 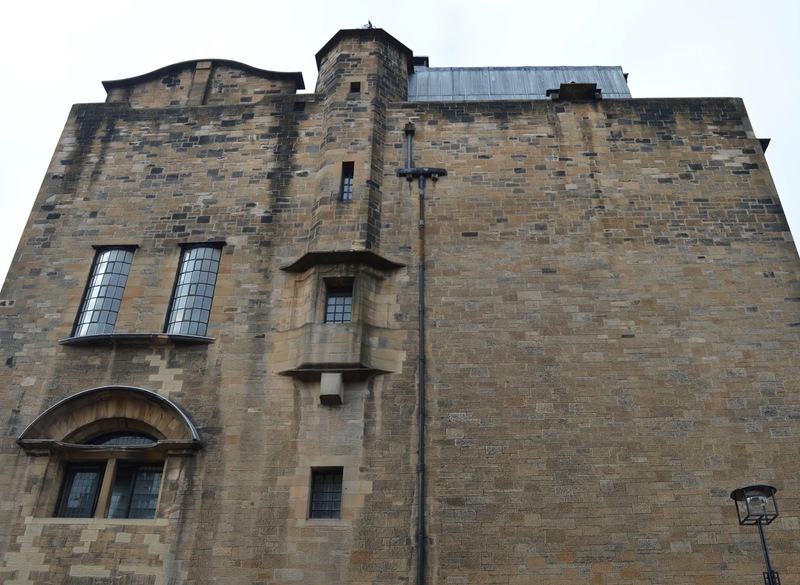 The Mackintosh tour will set you back £9.75 per adult with discounts available for senior citizens, students and children. 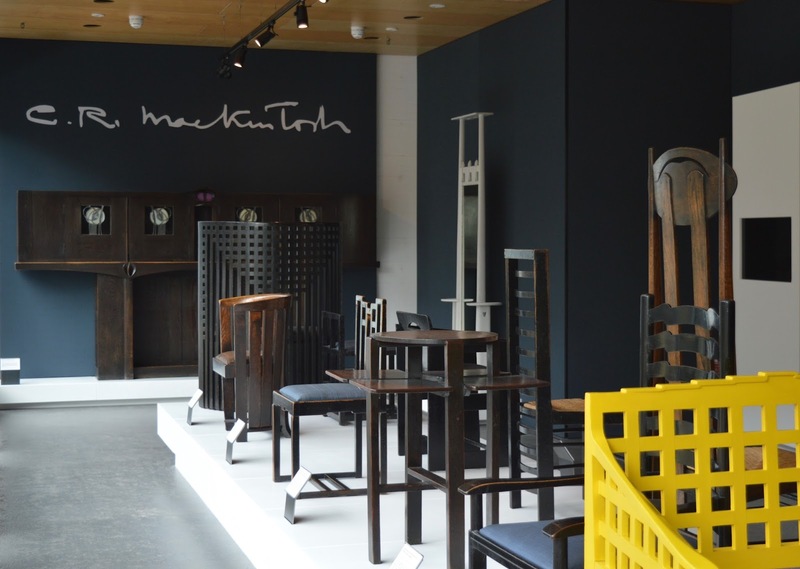 You can book online, over the phone or in person at the Mackintosh Visitor Centre. Our tour was led by the lovely Alex from California who is a graduate from the art school. 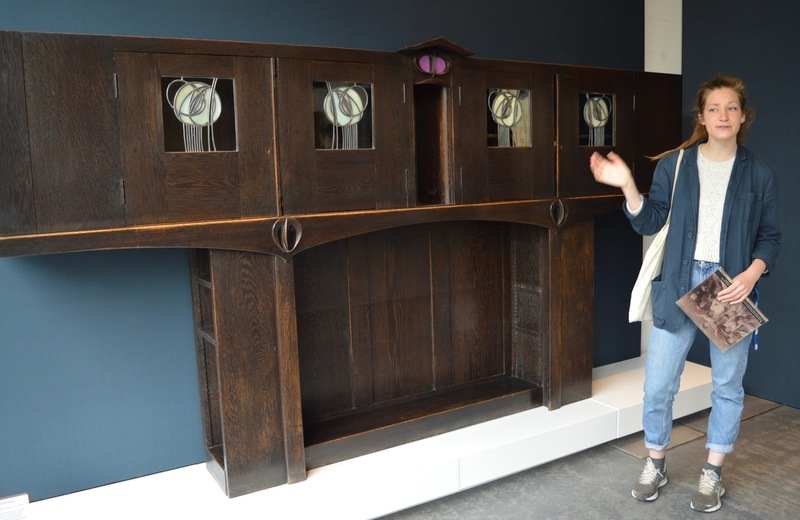 Charismatic, informative and full of useful and entertaining facts, our guide was definitely able to bring the the story of Charles Rennie Mackintosh back to life. Tours leave in small groups and start with the a walk around the famous art school building which was built between 1897 and 1909. Access to the building is unfortunately not permitted due to restoration work being completed after the fire damage. You still manage to get a real feel for the architecture, design and Mackintosh himself though as the finer details are pointed out such as the metal rosebuds in front of the windows which gradually open up signifying a student's journey through the school and how there are huge glass windows to the North of the building which make the most of the natural light where as the sides of the building are completely blocked up to maximise the best light from the North of the building. 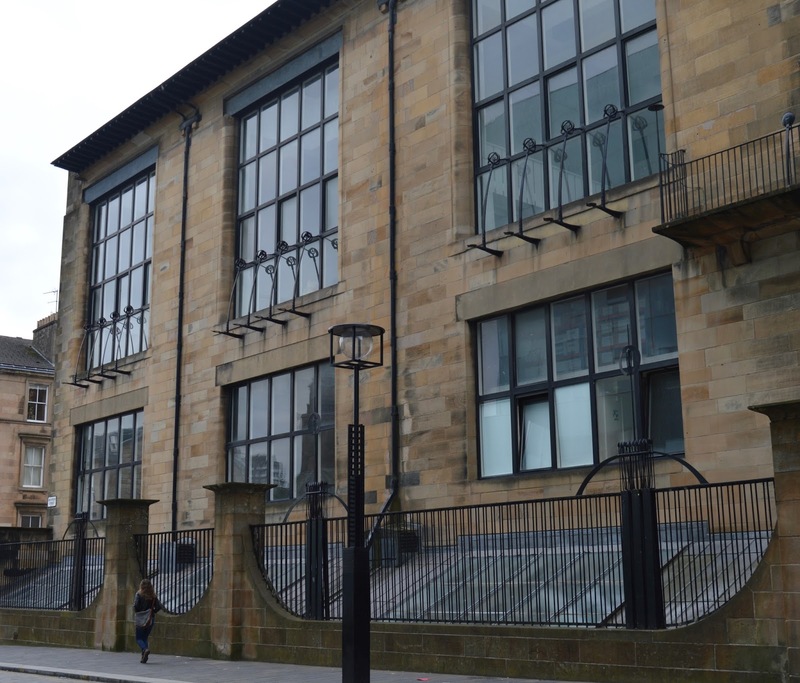 Moving into the Reid building which was completed in 2014, you can see a fantastic replication of how the Mackintosh building looked in all of it's glory - inside and out. The Reid building has been designed to compliment the original art school building and you can see references to the original in the door handles and shapes that are used around the building. 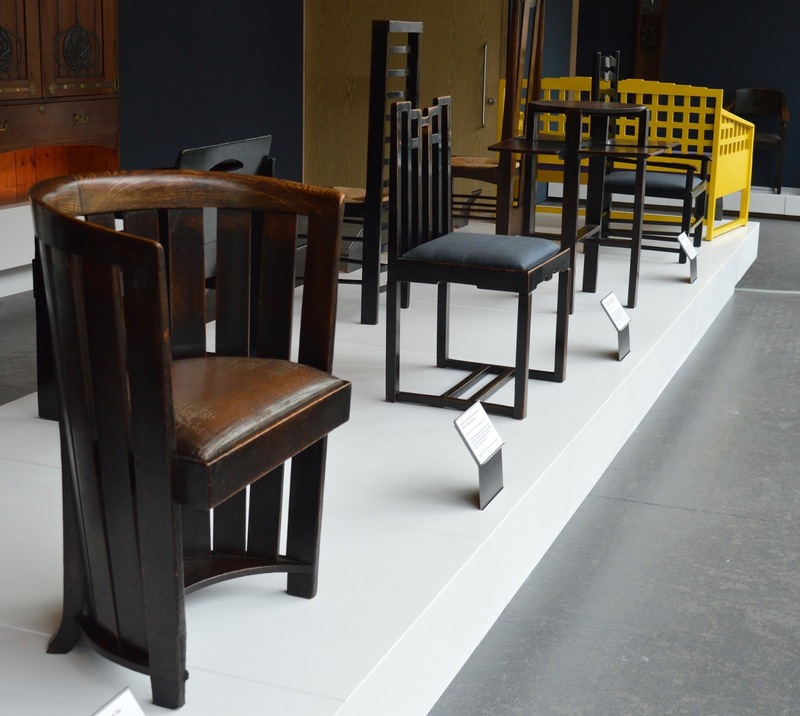 The tour allows you to exclusively access some of Mackintosh's work in a small gallery. 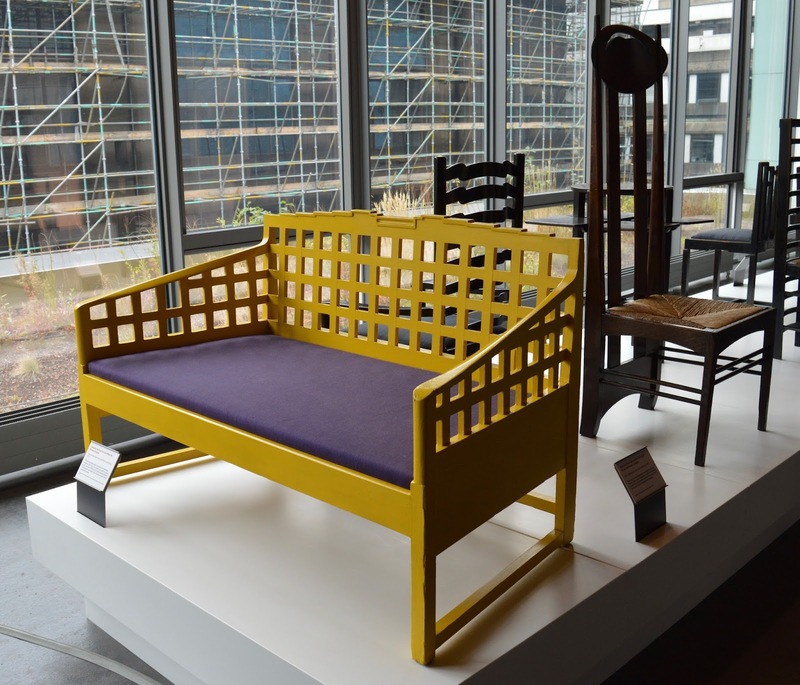 The furniture is a joy to walk around and it was really interesting learning about the history of each piece, why they were designed and the sheer work that went into the design and construction. Our guide really did bring the pieces to life and was happy to answer any of our questions. I asked how the restoration was being funded and the answer was mostly insurance, a little bit from the Government, ticket sales and individual donors including Brad Pitt who has previously studied as an architect! Our tour was definitely £9.75 well spent. 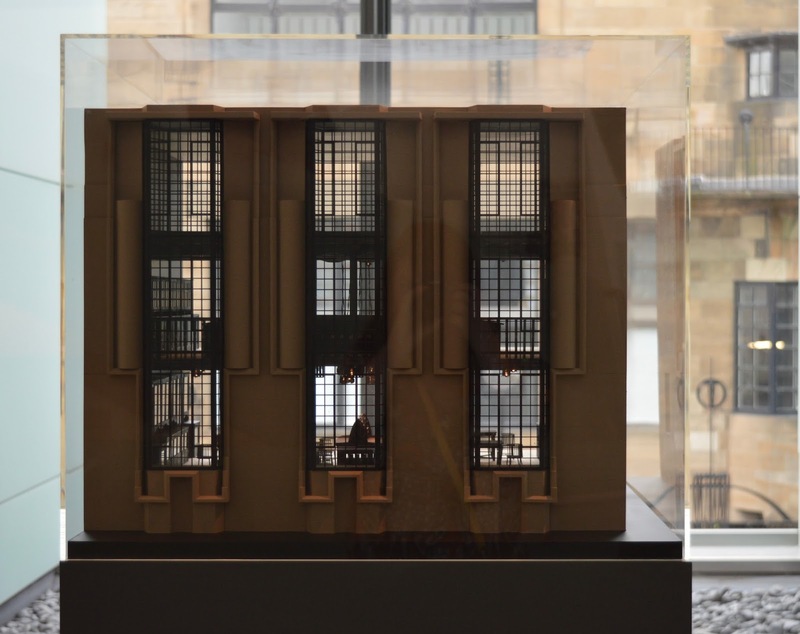 It really opened my mind and I spent the rest of my time in Glasgow with my eyes wide open - hunting for features in architecture that we had been discussing and looking for other Mackintosh buildings. Have you ever taken an art tour? What did you think? 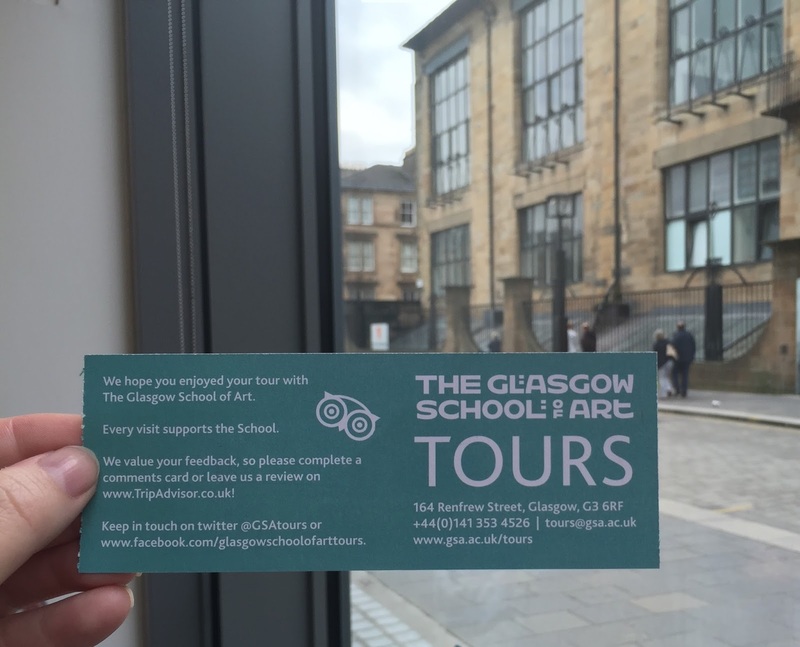 I love Macintosh and The Glasgow School of Art is on my list of places I want to visit.The tour looks exceptional and it looks like you had a great day. Looks like an amazing tour. I was put off art when visiting the Tate Modern. I saw actual piles of animal dung. How is that art?! This sounds a bit more traditional. Never been on an art tour as I always imagined them to be quite dull and boring, but you are proof that is not the case! Ooh I have been here so glad you visited and enjoyed it. I love Macintosh! I'd love to do a tour like this; I remember doing Charles Rennie Mackintosh at school and it'd be great to see his pieces in real life. I have never been on an art tour but I would love to go for one as I find art a fascinating field to explore.